Tags Posts tagged with "Condolence Email to Client"
Whilst it’s almost always better to send a card of condolence, there are times when it’s not possible. Things like the the time it will take, being able to see the bereaved in person or post it to them, knowing their address etc. All these can play a role in your decision not to send a card. Sometimes it just works out that sending a condolence email is the best option. Simplicity, speed and ease. But much like with writing a sympathy card, knowing what to say in a condolence email can be tricky. What sort of tone do you use? How long should it be? When do you send it? So if you’re struggling to write your condolence email then you can use the samples and examples below either as they are or change the details to fit your circumstances. Alternatively follow the tips we’ve provided to help you write your own email. These email templates are suitable for use in most situations and aren’t designed for a specific person like the samples further down. I am so sorry for your loss. ______ was a wonderful person who will be so sorely missed. Their warm spirit and generosity was a joy to all who knew them. Please accept my condolences to both you and your family, and if there is anything I can do don’t hesitate to ask. I was so sorry to hear about the untimely passing of ______. Whilst understandably I don’t know the details I wanted you to know I’m thinking of you during this awful time. I am so sorry about _____’s death. She was a truly incredible woman who had such an amazing effect on everyone who knew her. I can’t imagine how difficult this is for you. Her warmth and generosity made us all better people and we consider ourselves lucky to have known her. She will be miss terribly. I was so sorry to learn about the loss of your ______. Please accept my condolences and know that you are in my prayers. If there is anything I can do to help or you just need to talk then I will always be there for you. 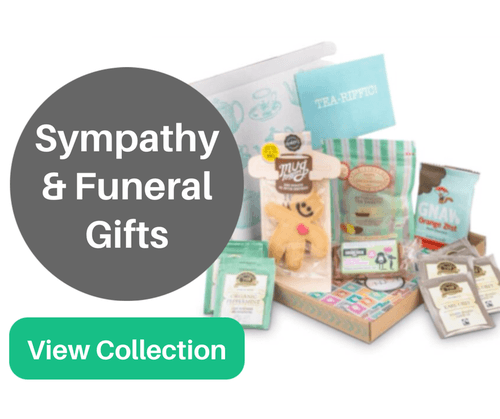 Sending condolences to a client is important as getting the tone wrong or causing offence could damage future business opportunities or relationships. 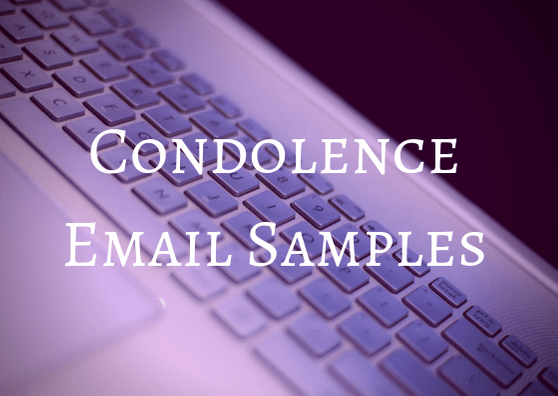 With a condolence email to a client you can either stick to something short and simple or talk in detail the loss. See examples of both below. Please accept my deepest condolences for the loss of your mother/father. It was such sad and shocking news. Whilst I never had the opportunity to meet your mother/father I know how close the two of you were. Over the years we’ve worked together her/his influence has been clear to see. I know how difficult this must be for you so I wanted to reach out and let you know as a trusted client that I’m here if you need anything. You will be in my thoughts and prayers. It was with such sadness I learned of ______’s passing. He/she was a great friend as well as being as a trusted client. Please accept my most sincere condolences to both you and your family. If there is anything I can do please don’t hesitate to ask. We were shocked to learn of your loss. _____’s passing will be grieved by all of us here at the firm. I considered him a personal friend and I will always remember him with great admiration. I’m so deeply sorry to hear of your fathers passing. Please accept my condolences and know that you will be in my prayers. Losing a boss can be upsetting if you were close. You may want to send an email to the company executives that express your sympathy or to the family of the boss who has passed away letting them know how wonderful they were to work for. I was so sad to hear about the loss of your wife. My heart goes out to you during this incredibly difficult time. I only had the opportunity to meet your wife on a handful of occasions but she was always such a kind and funny lady. I know she will be missed dearly. Everyone is thinking if you and if you need any help with anything then please just ask. I am so sorry to learn of ______’s passing. You have my most sincere sympathies at this time. Your whole family is in my thoughts. _______ was a fantastic boss and the entire office is devastated by their loss. His/her positive attitude helped to motivate all of us and we were never in doubt as to how much he/she valued our contribution and work. We will miss him/her so much. If you need anyone to cover or take on some extra work at the office I would be happy to do so. If you run a business or company then at some point an employee will suffer a loss. Sending them an email to let them know you’re thinkng of them during tough times is a touching gesture and will be appreciated. We wanted to reach out and offer our condolences for the loss of your mother. We are sincerely sorry for such a heartbreaking loss. Please don’t hesitate to let us know if there’s anything we can do to assist you as you deal with your bereavement. Human Resources are available to discuss our bereavement policy with and what else there is that we can do. Please again accept our sympathy in trying time and remember we are here to support you as you move forward. We are very sorry to learn that you have experienced a death in your family. Although we do not know the details, we want you to know that we are thinking about you in your bereavement. If you would prefer to write your own email rather than using one of the samples above then you can follow some of these tips/guide to help make it sound just right. Be sincere – there’s nothing worse than receiving a letter or email that sounds forced. So ensure that you speak from the heart and genuinely mean what you’re saying. Express your sorrow – be clear how much you will miss the departed and how sorry you are for their loss. This is the reason for your email so make it clear quickly. Offer support – if you can then offering help is a touching gesture and one the recipient will almost certainly appreciate. It can range from being there to talk to or listen through to running errands for them or picking up their children. Being personal – if you were close to the deceased then you might want to talk more personally about them. Perhaps retell a story or anecdote involving them or just mention their best qualities that you admired.